EVENT INFO | Welcome To MissionFest! Missionfest™, this summer’s biggest adult party, is two amazing events in one. 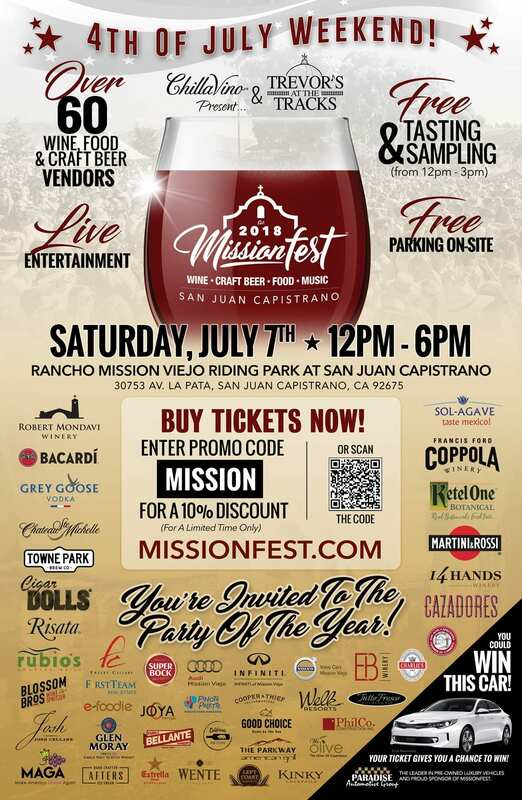 Celebrate July 4th weekend with Wine, Craft Beer, Food and Live Music on Saturday, July 7, 2018 at the Rancho Mission Viejo Riding Park from 12pm to 6pm. Missionfest kicks-off Friday night with an exclusive VIP Party held at Trevor’s at the Tracks in downtown San Juan Capistrano. The party features all-inclusive gourmet dining, reserve wine and spirits, and live entertainment. This ticket also includes the main event on Saturday July 7th. On Saturday, the fun starts at noon with complimentary wine, craft beer and fine food sampling until 3:00pm from some of the hottest spots in South County. Fine dining and sampling will include Trevor’s at the Tracks, Sol Agave, Tutto Fresco, and Parkway American Grill to name a few. 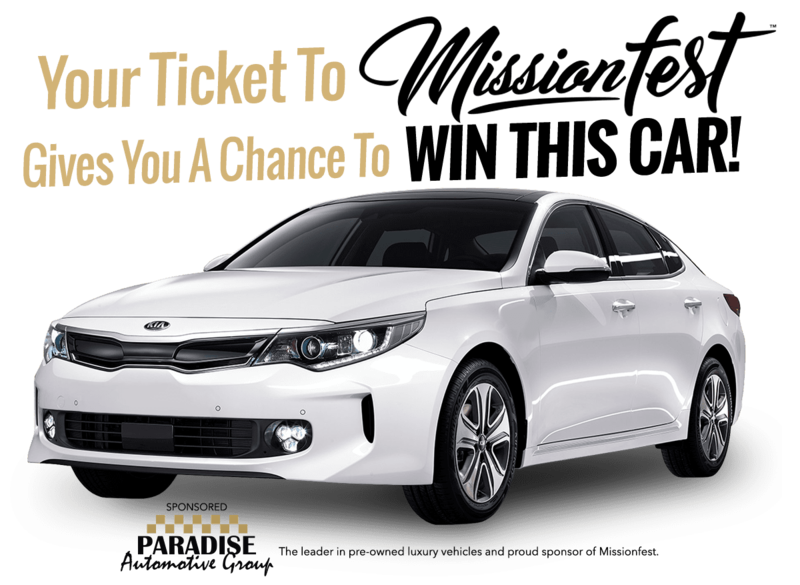 Sample the finest wines, craft beer, and sprits from Mondavi, Coppola, Morgan Winery, Towne Park Brew, Left Coast, Grey Goose, Cazadores Tequila, Bacardi and many more. Over 65 brands and vendors will be there to serve you. But that’s not all! At 3pm, the tasting event concludes (although food, wine, craft beer and spirits are available for purchase all day) and the concert begins featuring the Zen String Girls; also known as the Charlies Angels of strings. Violins and cellos never looked and sounded more beautiful. The 14-piece Sensation Show Band follows with a high energy ensemble of singers, dancers, and horns.